It’s a Wednesday morning in Viña del Mar, Chile and I’m welcomed to the produce market by the calls of a vendor, announcing sales on his arugula and basil. I orient myself around the market labyrinth based on hearing his distinct crow. I’ll buy cherries from the woman next to his stall, and the Peruvian woman with the hydroponic tomatoes is right around the corner. Every Wednesday morning, I stock up on fresh produce to prepare meals for guests: cherry ice cream to pair with Tobiano Pinot Noir; the best tomatoes to make traditional Chilean pebre. My name is Alex and I’ve morphed into a young chef cooking up lunches at Kingston Family Vineyards. 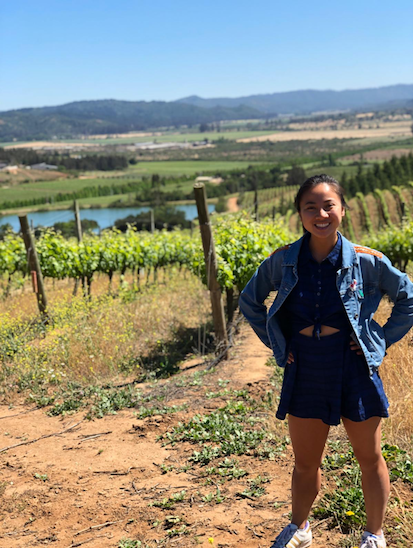 When I’m not visiting my new friends at the produce market, you would find me at our tasting room overlooking Casablanca Valley, where I work alongside 4 other Americans as part of the vineyard’s Fellowship Program. For the past 4 years, the vineyard has welcomed recent college graduates to join its tight-knit team for a bi-national work exchange. This year, the fellows all live together in one apartment in Viña del Mar, carpooling to work in a car that Michael Kingston fondly named Zarzar 2.0. Our primary role is to host tours and tastings for vineyard guests, but we’ve been known to do everything from hand-label wine bottles in the cave to, well, cook. The Kingston Fellowship is a cultural exchange and the chance to create a lasting impact for a small family business. We’re able to engage at every level of the operation, from collaborating with Amael Orrego, our talented Chilean winemaker tackling sustainable agriculture challenges; to working directly with Courtney Kingston, our spunky female founder. As a young woman, I constantly find my fuel in Courtney’s entrepreneurial spirit, her openness toward our grand ideas and her acceptance of the mistakes that often come in tow. I graduated from Stanford University in 2018, armed with a degree in Earth Systems science and with a lifelong culinary passion. I was drawn to Kingston as a critical environmental teaching moment, since the vineyard began a transition to organic agriculture in 2016. Yet by a fortuitous turn of fate, I found myself tasked with initiating a new commercial kitchen operation in Kingston’s recently inaugurated tasting room. What began as an unlikely opportunity to bring food service in-house, has now evolved into a new Culinary Fellowship. 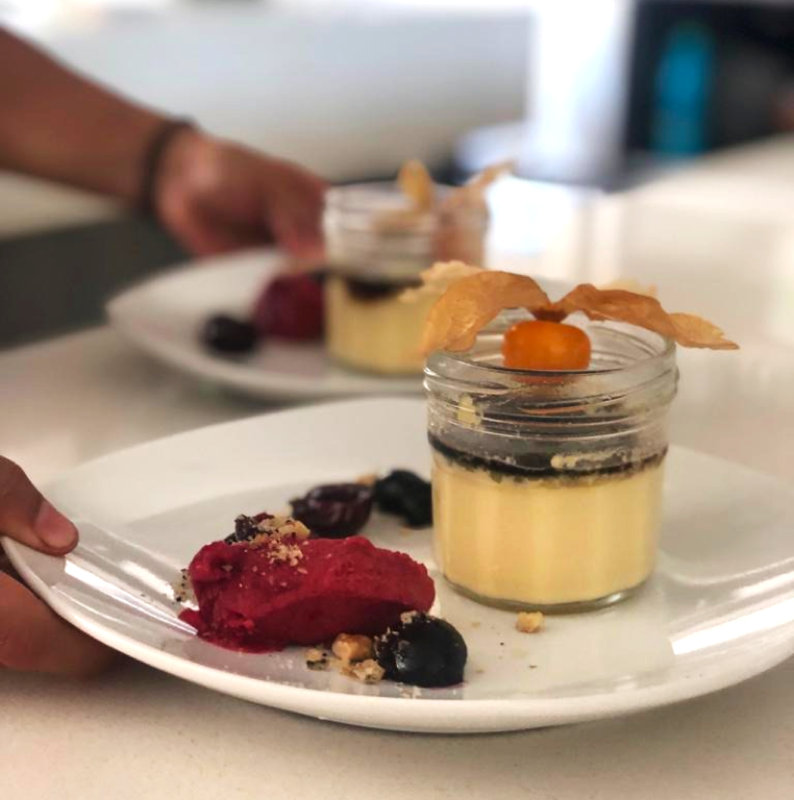 The Culinary Fellowship is an opportunity for a passionate home cook or culinary student to gain experience leading a professional kitchen while driving the creative direction of Kingston Family Vineyards. The Culinary Fellow will be tasked with embracing Chilean tradition and bringing international flair into food offerings that highlight the best qualities of our wine. Six months ago, I began chatting with Amael about the characteristics of each wine varietal to express with each dish. We experimented: sampling chocolate-raspberry cookies with Lucero Syrah and fish rillettes with Cariblanco Sauvignon Blanc. We ordered pots and pans to outfit the kitchen; contacted cheesemongers, artesanal marmalade producers and local farms to source our ingredients. I shadowed the talented catering chefs who execute larger events at the vineyard. We now serve gourmet lunches, each dish intended to showcase a Kingston Family wine using thoughtfully procured ingredients. As Kingston Family Vineyards fellows, we knock out 10 lunch reservations on a busy summer Saturday. I haggle for pulpo from my “octopus hook-up” at the fish market in the morning and make sopapillas with my coworker, Macarena, on rainy afternoons. We have no guarantee for how each day might unfold. What I can guarantee, without exaggeration, is that this fellowship is the adventure of a lifetime. To learn more about our Culinary Fellowship, please contact Alex Nguyen-Phuc at alex@kingstonvineyards.com or guests@kingstonvineyards.com.